The commercial conveys the concept of feeling free and untethered by cellular data restrictions in an unusual yet relatable way. 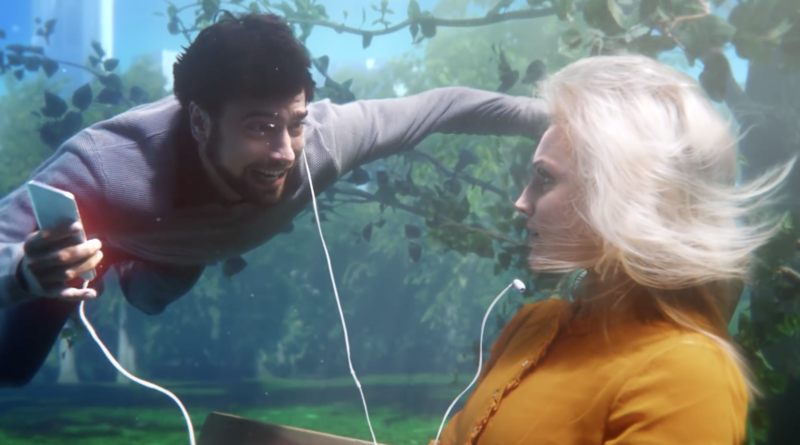 The setting is an underwater park, where a non-O2 user is sitting on a bench listening to music when his data supply abruptly comes to an end, forcing him to return to the surface for air. In the next frame we see two O2 users happily head-banging without a care in the world. The ad itself welcomes the viewer into their fantasy aesthetic, created through the colourful yet mysterious underwater setting and the atmospheric sound. The music for this exciting ad was provided by the creative stylings of Tracks and Fields music supervision. The song itself is a re-recording of the song “Everybody’s Free” by Rozalla and matches the floating sensation created by the visual.